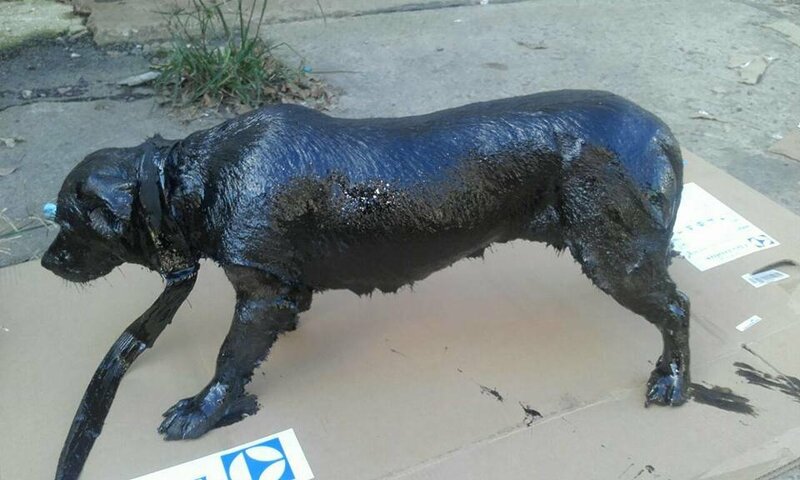 Tar is a naturally occurring substance that oozes from the ground. According to Wikipedia, you can make tar by heating up coal, petroleum, wood, or peat in a special apparatus. The uses for tar include making sails waterproof, sealing roofing shingles, tar paper can seal the hulls of boats, and wood tar is used to make the exterior walls of log building more durable. 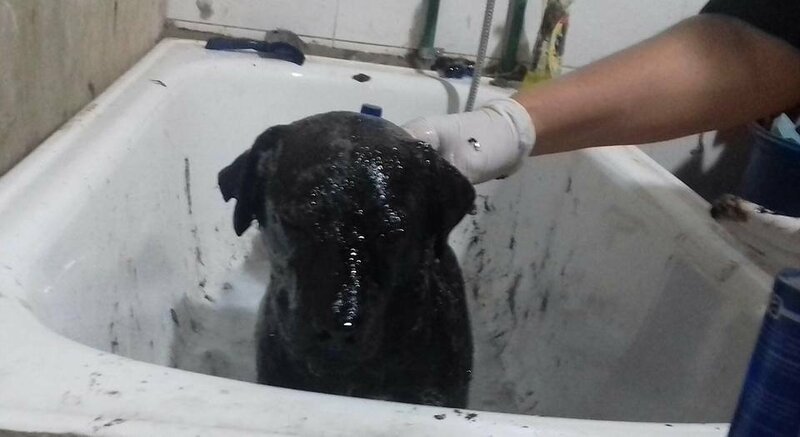 Now, one look at the picture of the dog covered in tar and you may gasp in horror. 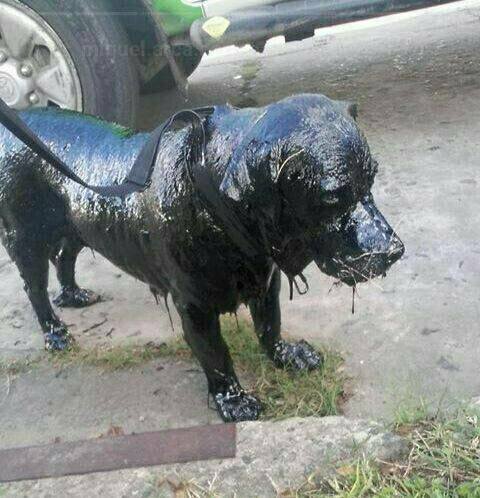 Before we start – no one is quite sure how the poor dog ended up covered from head to toe in tar. 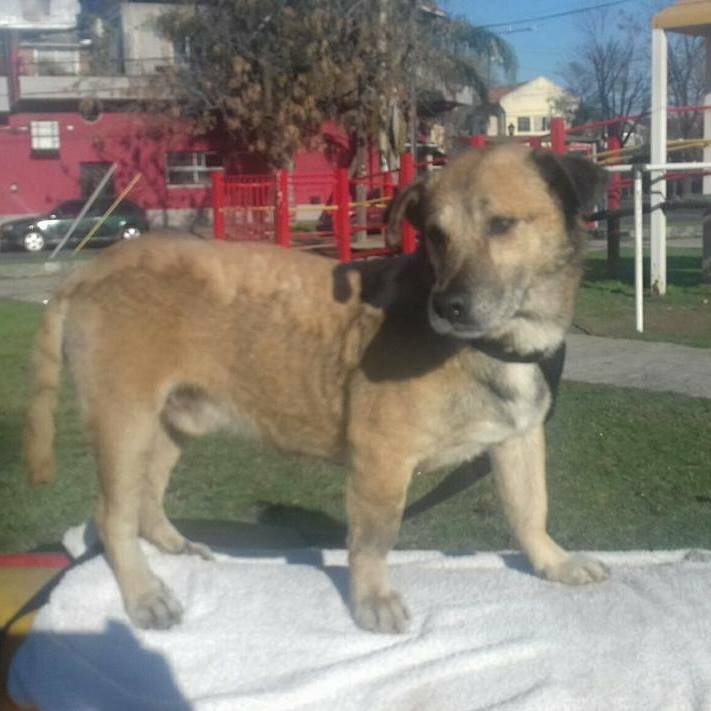 The important thing is that the dog, Petro, was found by two young men in Lanus, Argentina. 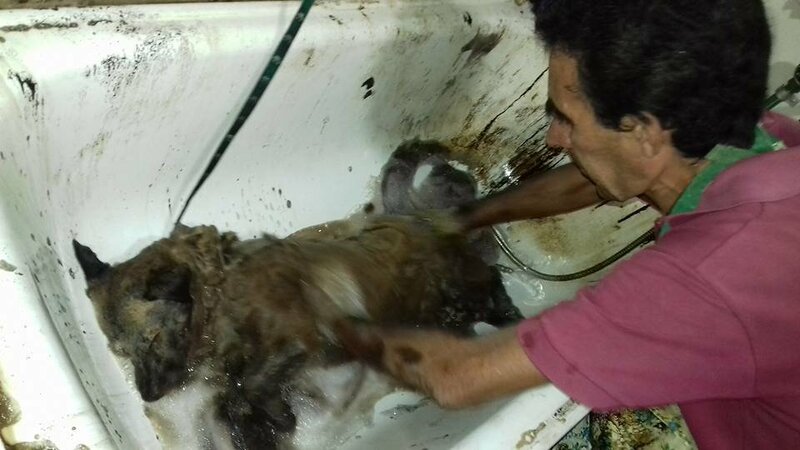 The men got help from a police officer and took the dog to a vet clinic for help. 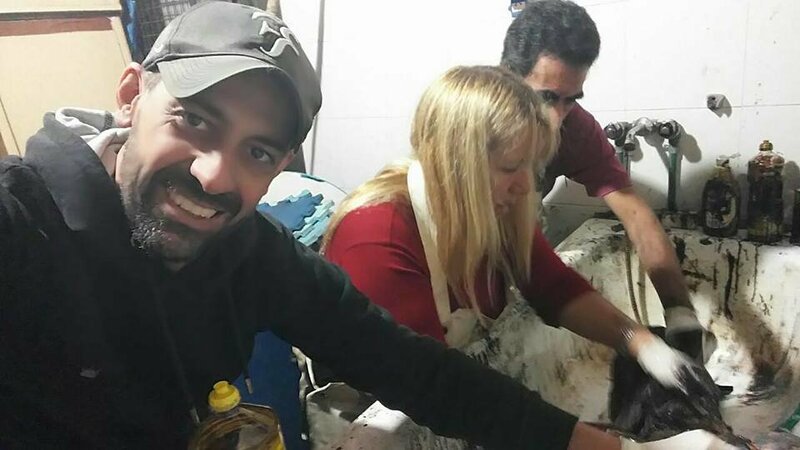 Some volunteers from Zoonosis Lanus, an animal rescue group, were asked to come help. As we mentioned before, tar is used to make things waterproof – so it was no easy task getting the tar off Petro. It took five long hours to get the thick black tar off, but no one gave up! Slowly, but surely, the tar came off and Petro was once again is old self! Well, almost, he still has some stains from the tar, but he is so much happier! 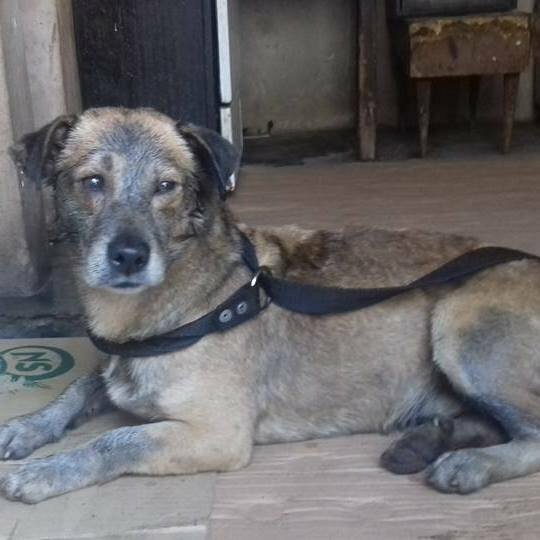 Myriam Otellado, one of Petro’s rescuers, said that Petro has a very sweet personality, despite all he went through! 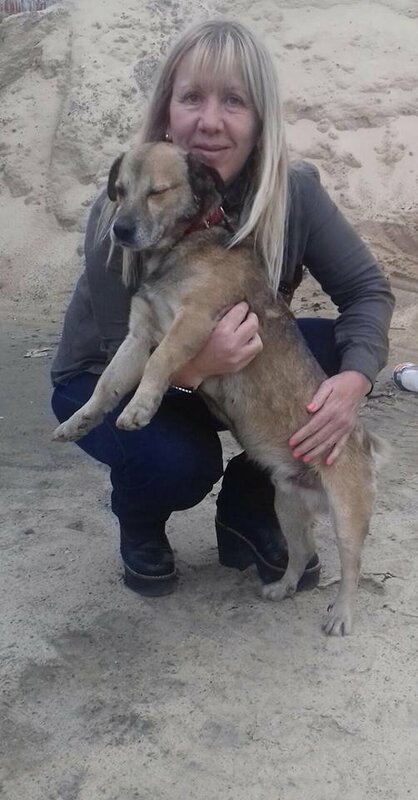 Let us hope that Petro finds a loving home soon!